Home > Recovery > iPhone completely dead? Recover data from dead iPhone. We'll supply 3 methods to help you recover iPhone data when your iPhone compeletly dead，with Eelphone iPhone Data Recovery . What can we do when the iPhone XS / XS Max / XR / X / 8 Plus / 8 / 7 / 7 Plus / SE / 6s / 6s Plus / 6 completely dead? Every phone has its service life. I believe all of us have met the same experience that when we have used an iPhone for a long time, the phone would be out of work and full into black screen suddenly, and we call it a dead iPhone. However, the phone has played an important part in our lives. Just because we keep a lot of data in our iPhones，like Christmas photos、love messages，partner's phone number、family videos etc. So, if we need the data which are on our phones, and somehow, in this moment, the phone has turned into a dead phone. What should we do to salvage data? You do not need to go to the phone repair shop. You do not need to worry whether you would understand the complicated methods displayed on the Internet or not. 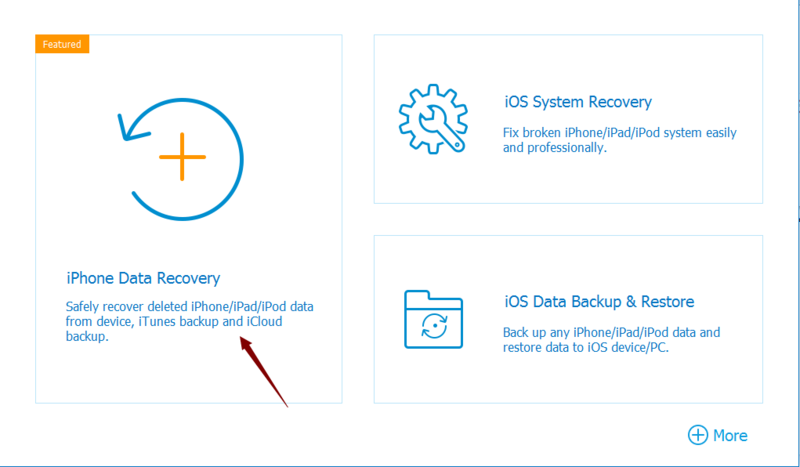 Just read this article, and I will introduce a great data retrieval recovery software -iPhone Data Recovery. In addition, you will be aware of some easy and clear ways to recover data when iPhone dead. Just read on and try this data recovery service. Three ways to recover data from iPhone. 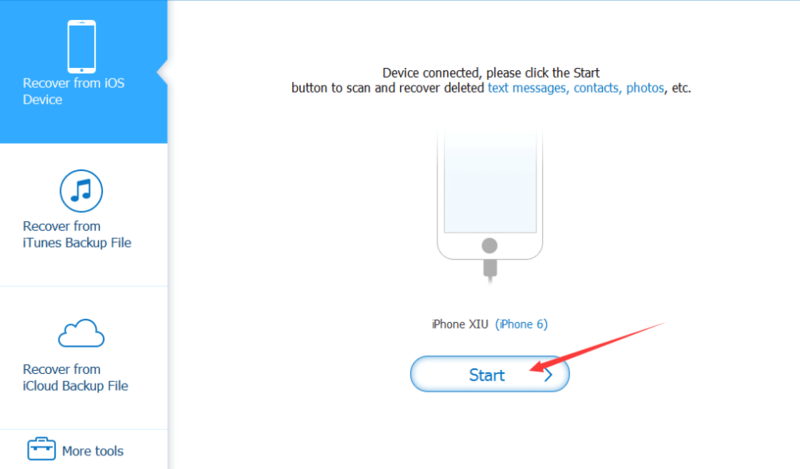 Way 1: Retrieve iPhone to recover data when iPhone dead. Way 2: Extract iTunes backup files to recover data when iPhone dead. 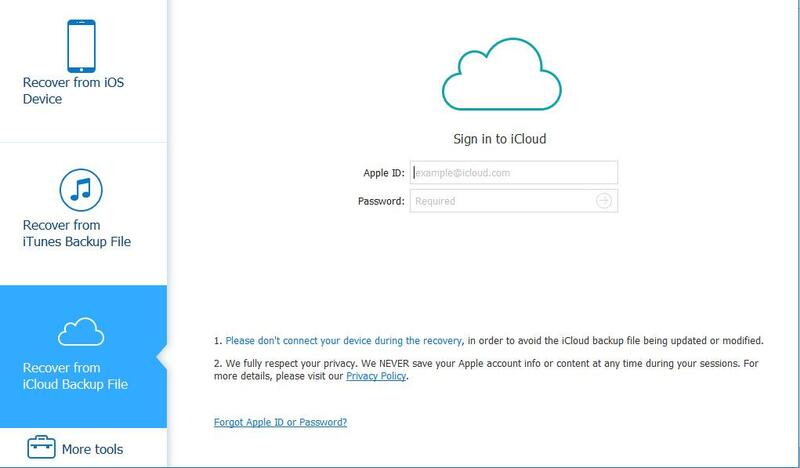 Way 3: Download iCloud backup files to recover data when iPhone dead. Retrieve iPhone to recover data when iPhone dead. Step 1. Apparently, the first step is to download the software Eelphone iPhone Data Recovery and then install it on your computer. Just follow the steps displayed on the computer, which are really easy to understand and operate. Step 2. After installing this software, launch it and an interface will show up in the computer. Now connect the dead iPhone to your computer with a USB cable. And then the program will scan the dead iPhone automatically. Step 3. After scanning, all kinds of data will be displayed in the interface, like photos, messages, videos and so on. Now you can look through them and if you want to keep some on your computer, pick up them and then click on the “ Recover ” button. One thing you need to pay attention to is that all the data displayed in the interface will include some data deleted recently. If you click on the “ Only display deleted items ” button on top of the window, you will be able to see the deleted data only. 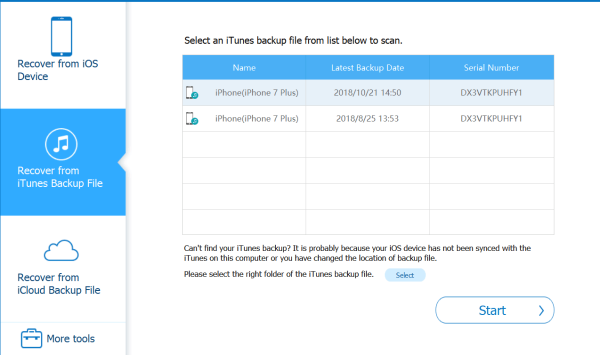 Extract iTunes backup files to recover data when iPhone dead. Attention: This method will work only if you have iTunes backup files before. Step 1. Download iPhone Data Recovery and Install it. Now launch iPhone Data Recovery. An interface will show up in the computer. Then click on the “ Recover from iTunes Backup files ” button on the left side of the interface. Afterwards, a list of your iTunes backup files will show up in the interface. Choose what you wanted and then click on the “ Start ” button. Step 2. After scanning your iTunes backup files, the data will be displayed in the interface. Of course, you can look through all of them. Choose what you want to recover and then click on the “ Recover ” button then the data will recover on your computer. 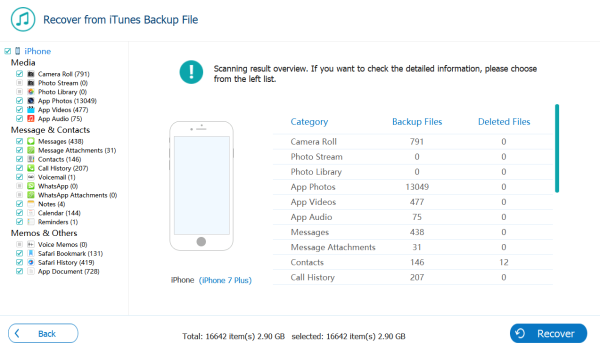 Download iCloud backup files to salvage data recovery when iPhone dead. 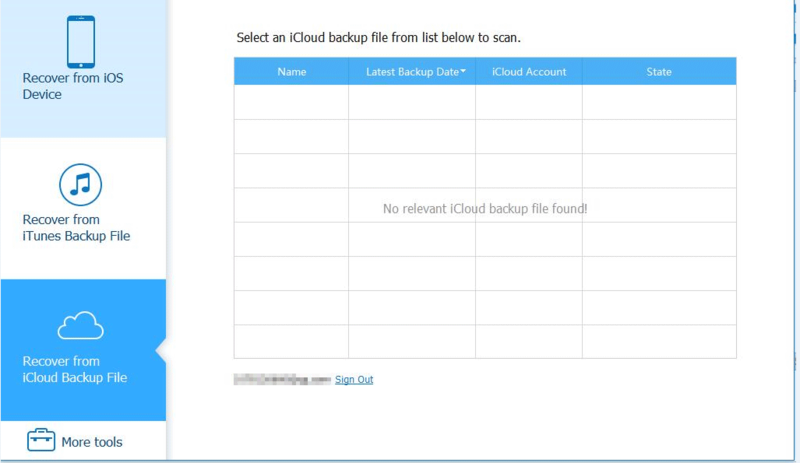 Attention: This method will work only if you have iCloud backup files before. Step 1. Obviously, you need to download iPhone Data Recovery and then install it. Afterwards, launch it and you will be able to see an interface displayed in the computer. 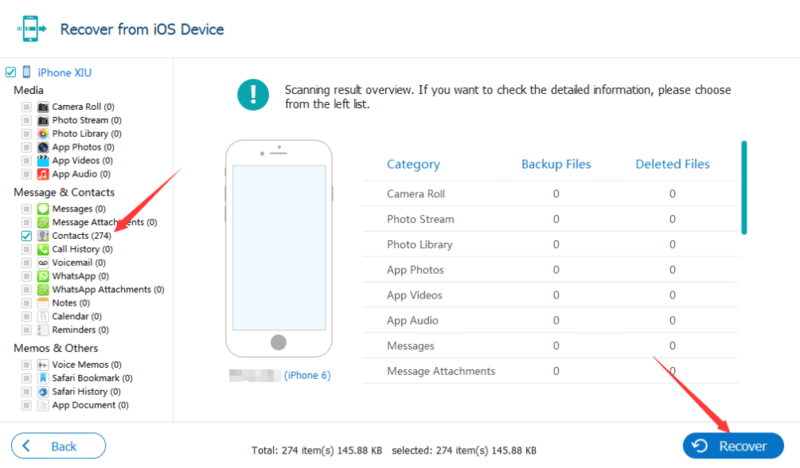 Then click on the “Recover from iCloud Backup File” button on the left side of the interface. And then you will be asked to sign in your iCloud account in the interface. Step 2. 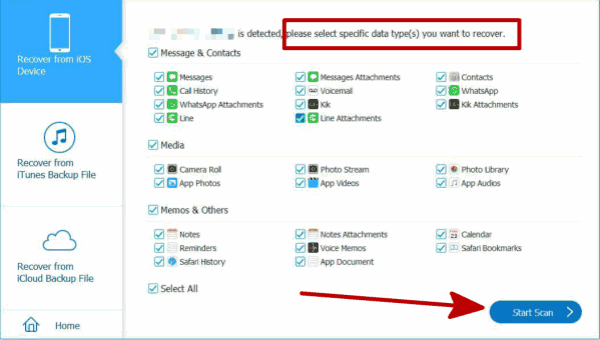 After you enter your iCloud account, you will be able to see that all the files of your iCloud account will be listed. Now you need to select the files you want to recover. When you select one, you need to click on the “ Download ” button. In addition, you need to click on the “ Start ” in order to extract the downloaded files. Step 3. After scanning, you will find dead iPhone data. And now you can choose what you want to recover. Then, click on the “ Recover ” button. OK, that all ways to recover data when iPhone dead. If you till want know how to fix Dead iPhone, please click here. When you are in trouble with iPhone, please contact us and we will do our best to solve the problems.